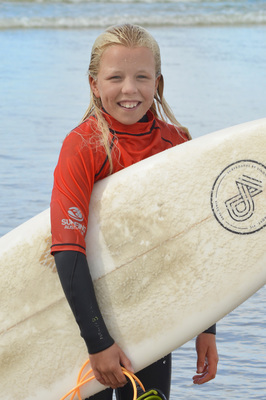 STAR Ocean Grove SLSC nipper Ellie Harrison is riding the ultimate wave of the surfing kind after being crowned Wahu Surf Groms Under 12 girls champion last weekend. The bubbly young surfer was a standout competitor in clean waves at her local home break in Ocean Grove across two days of competition on Saturday 30 January and Sunday 31 January. 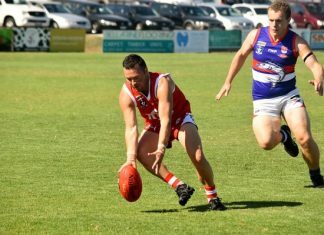 The Ocean Grove Our Lady Star of the Sea Primary student, who won with a score of 14.34 points to defeat Torquay’s Imogen Bailey 7.67 points in the final, said it was a fun competition. “The waves were good at Ocean Grove and it was great to be competing among friends,” she said. It was a massive weekend for the 10-year-old who competed in the highly competitive Under 14 girls division, where she claimed a runner-up finish in the final. 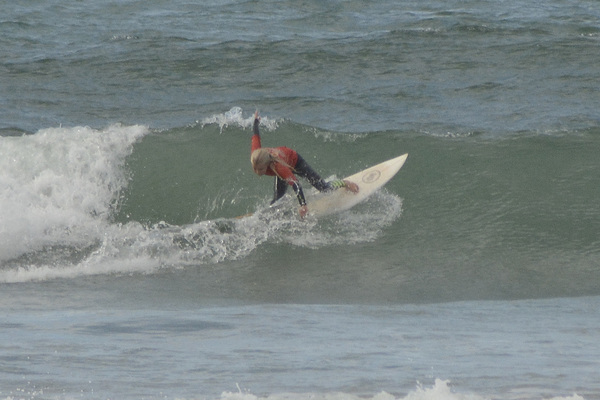 OTHER locals to compete in Ocean Grove Wahu Surfer Groms event last weekend included Ocean Grove SLSC nipper Charlie Mahoney, who made the second round in the Under 12 competition. Ocean Grove was the only Victorian beach location to host a competition leg of the Wahu Surfer Groms, supported by Surfing Australia and Surfing Victoria, across the 2015-’16 season schedule.